" At last some clarity "
The new XP Deus version 4.1 is now available this article explains the ground sensitivity feature. The Radio connection between MI-6 and DEUS is now more reliable and faster. New menu addition “Ground Sensitivity” in GB > EXPERT. This new setting makes it possible to adjust the machine's ability to track soils according to their intensity. This makes it possible to avoid tracking on soils with a low mineralisation. Slightly mineralized soils are ignored and the DEUS does not track and will not display ground values, the Deus will default to the recommended level. The DEUS will track even low mineralized soils. Note: Do not be tempted to adjust the “GROUND SENS” too high as this may introduce more instability and false ground readings. Levels of 1 to 5 are recommended, they will give you better stability over the V4.0. 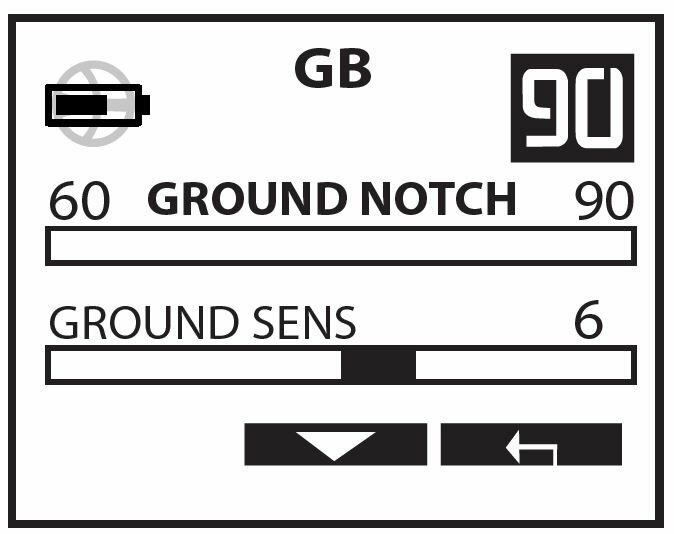 Ground Tracking: If the DEUS no longer measures a suitable ground effect for 30 seconds it will default the tracking to a setting value of 88 for more stability. For example the ground value will revert to default if: The soil is not mineralized enough or if the level of mineralization is lower than your set “GROUND SENS”, or simply if you stop detecting. As soon as you resume detecting or if the soil becomes sufficiently mineralized again, the DEUS will continue to track the soil and the display will show the measured value. Note: HF disks do not require software updates for the moment, they are ignored during the update.